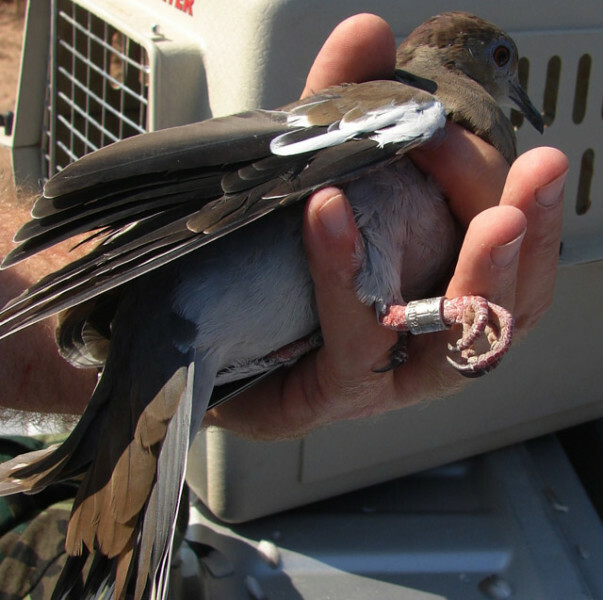 What might be learned by leg-banding doves. "It is a free meal for the doves. They are not smart enough to realize they are being trapped." 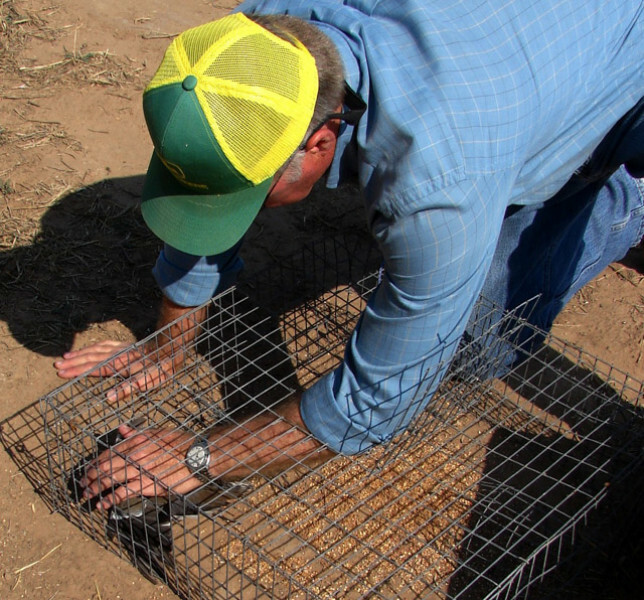 Phillip Dickerson shook his head, and chuckled at the ten doves in one small trap. "They don't get scared by the flapping of the others already in the traps, and just walk right into the funnel, pecking as they go, picking up the grain. Once in a while one will walk back out the funnel, but it does not happen often." 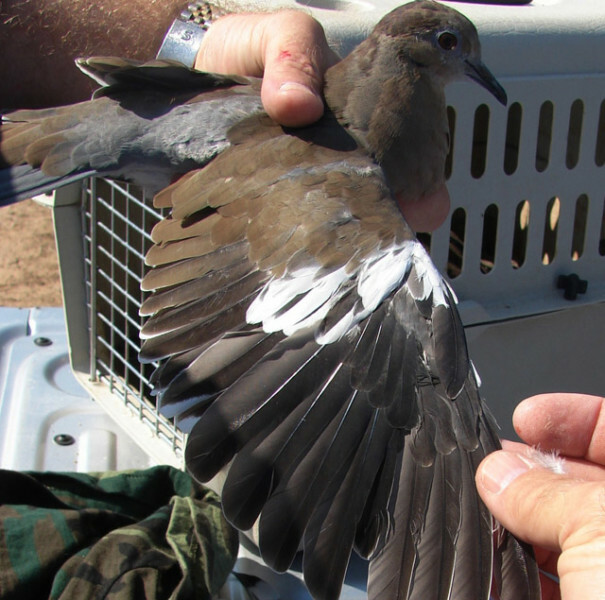 Dickerson is a Texas Parks and Wildlife Department biologist who is participating in a state-wide research banding project on doves. 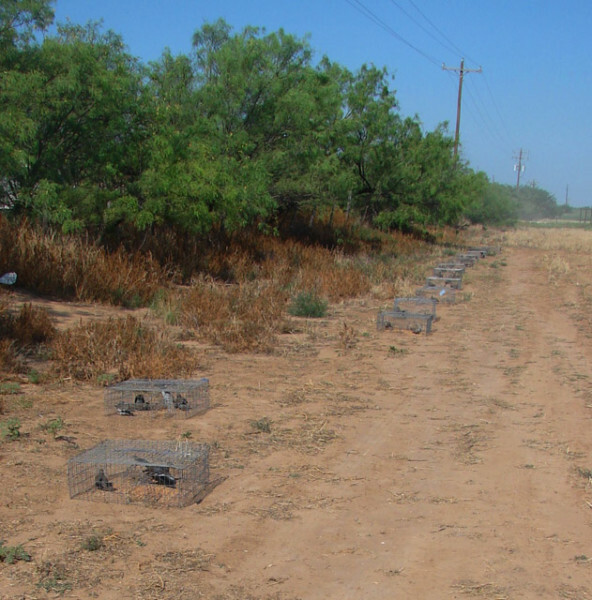 Dove hunting is big business in Texas. 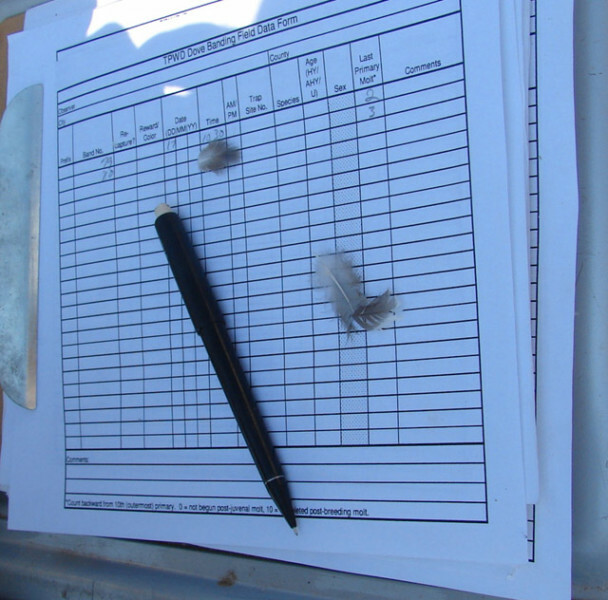 "We hope to learn several things – we gain some insight regarding local dove reproduction, how long the birds might live, local hunter harvest levels, and migration patterns. 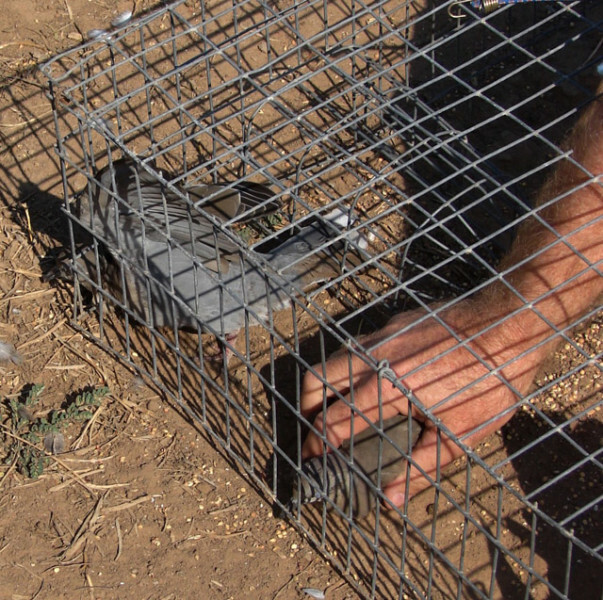 Phillip Dickerson runs a trapline of 39 traps to catch doves. 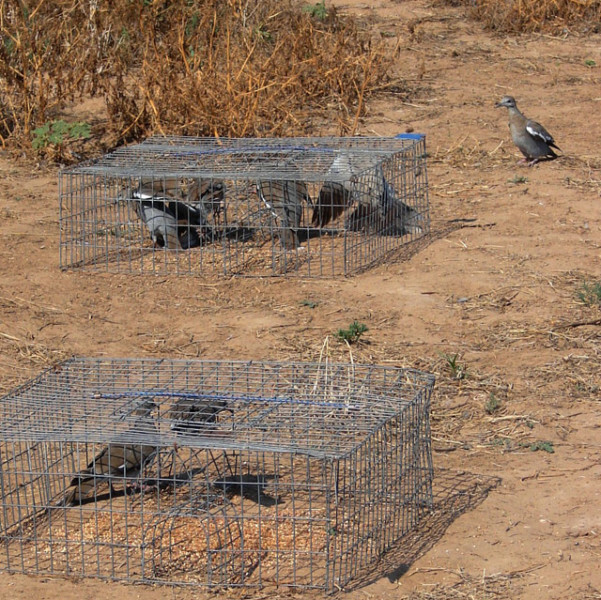 From these two traps he pulled 15 birds - and one was wanting to get in before he reached it. He quickly grabbed for the birds, as quick as a snake striking. 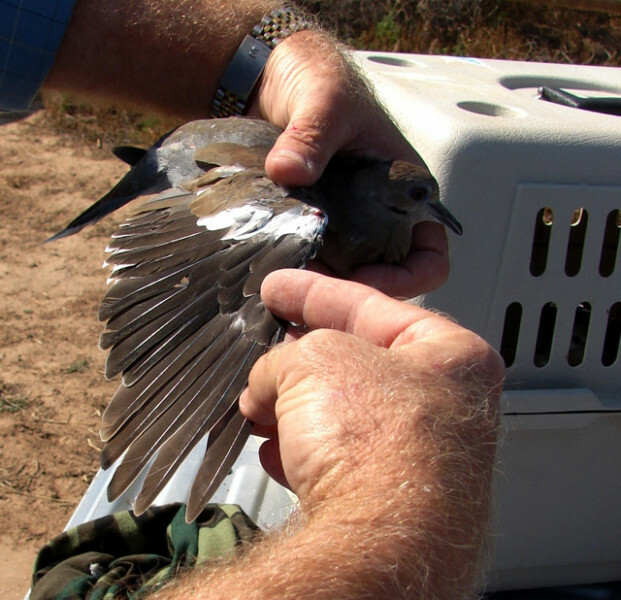 Somehow he caught most of the birds with its head between his ring and index fingers. The doves quieted down when they were in the pet carrier. To age the birds he spread the wings. Notice that the 5th primary is shorter -- it is half fledged, about 50 days from hatching. 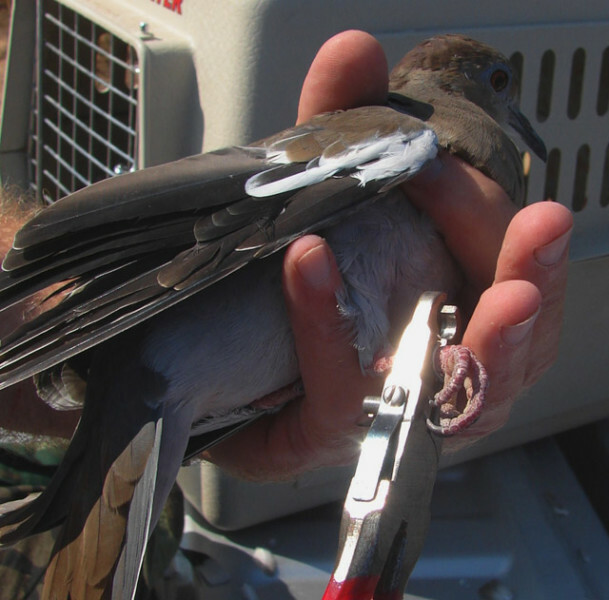 A special pair of pliers affixed the metal band to the leg of the bird. 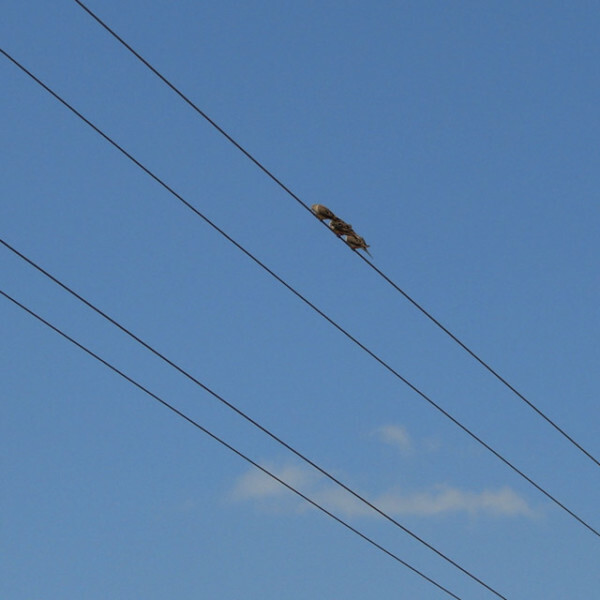 This bird has the 4th primary shorter (or sixth from the outside). The bands fit the leg of the bird loosely and can slide up and down. Record keeping is important to the research. 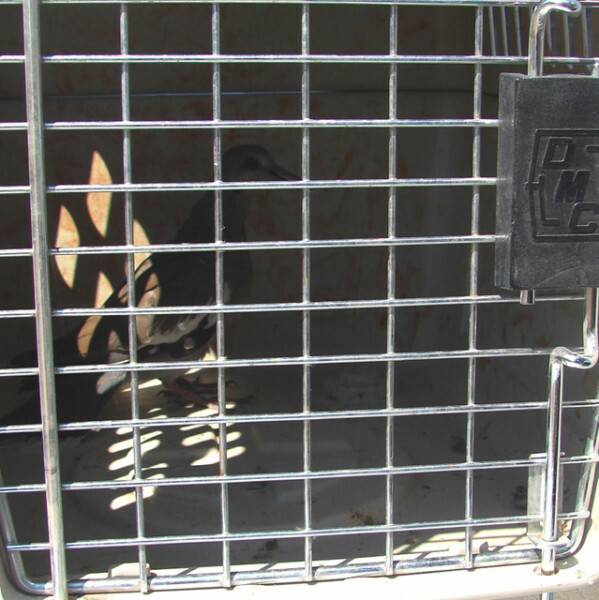 Notice the breast feathers that came loose in the banding process. 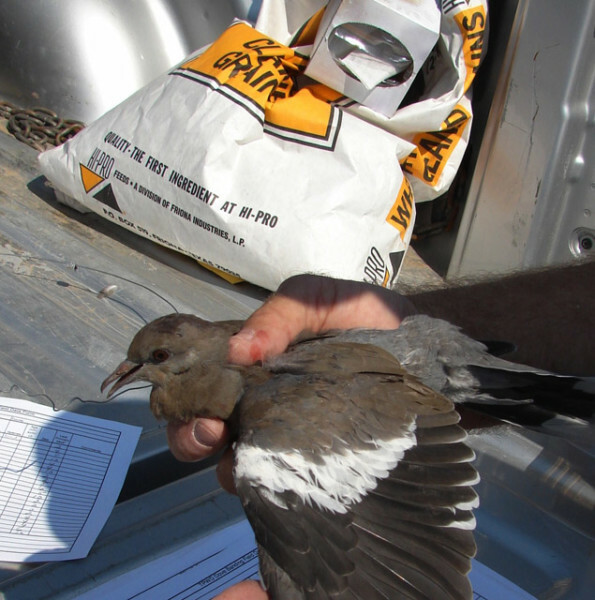 Even as he banded birds, other birds came to the electric lines above the trap -- looking for the free handout. To learn more about this topic, click the link above.